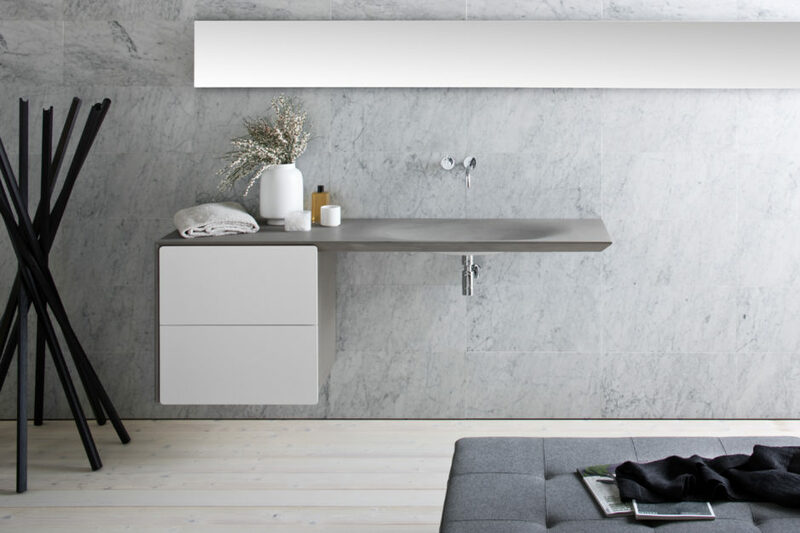 A seamless sink in the bathroom is practical for many reasons – it makes cleaning much easier, it makes it less likely that dirt and grime will build up on the counters, and it creates a streamlined modern look. 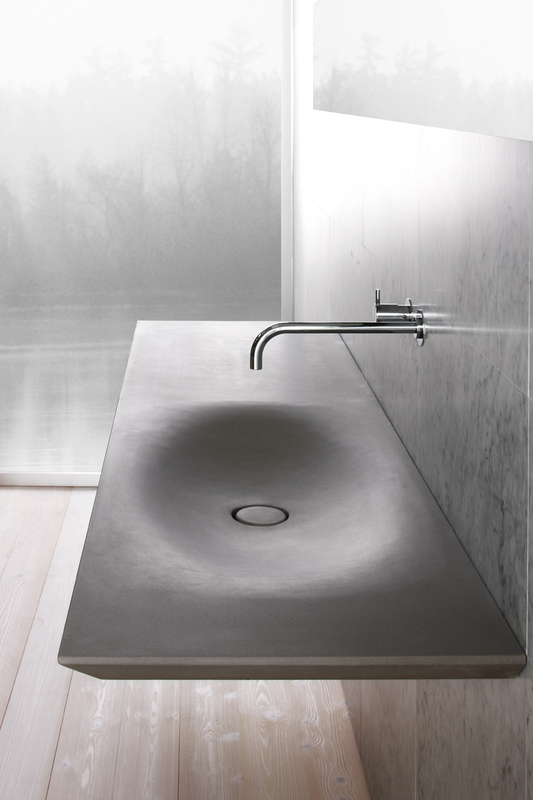 The Neos seamless sink, designed by Luca Marorano for Neutra, has all of the benefits of an integrated sink, as well as the benefits of having stone countertops, including durability and the look of sophisticated elegance. 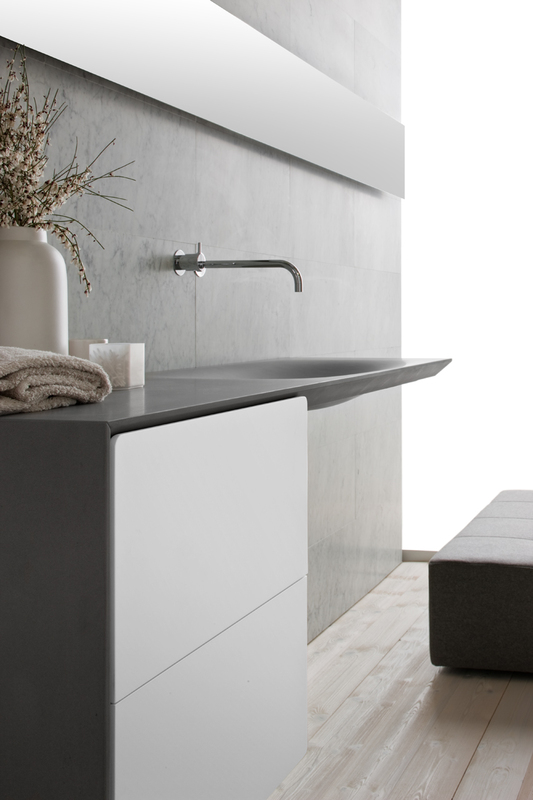 The grey stone sink is wall mounted creating free space on the counter, with large white drawers below to provide easy access to toiletries. 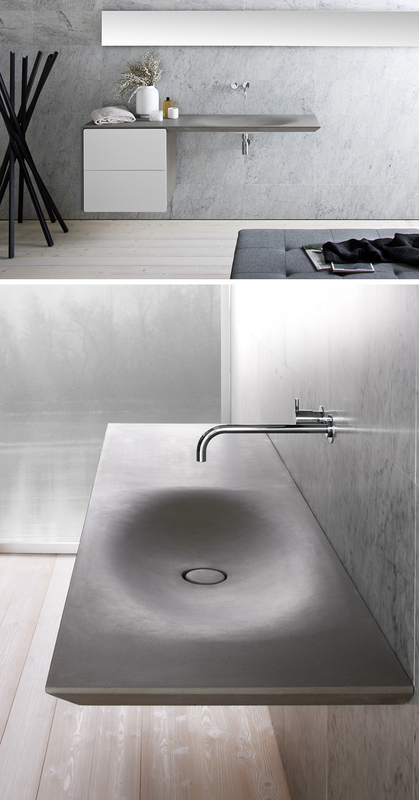 The slender chrome faucet maintains the modernity of this appealing seamless sink.